continuous use with a 1-Year limited warranty. Sold as Pair. Engo LED light bars provide superior illumination for your needs. Whether it be for your Off-Road vehicle, Marine application, or any heavy machinery equipment where increased lighting is needed. Engo LED light bars will help improve your nighttime conditions for increased productivity and better safety. Engo LED light bars are made of lightweight Die-cast aluminum with heat sink extrusion, toughened glass lens, easy mounting hardware, and use a combo spot(center) and flood(corners) pattern. 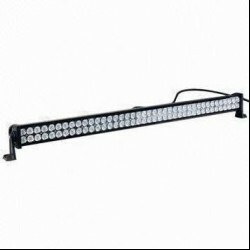 Engo LED light bars have a lifespan of over 3.5 years of continuous use with a 1-Year limited warranty. Engo LED work lights provide superior illumination for your needs. Whether it be for your Off-Road vehicle, Marine application, or any heavy machinery equipment where increased lighting is needed. Engo LED work lights will help improve your nighttime conditions for increased productivity and better safety. Engo LED work lights are made of lightweight Die-cast aluminum with heat sink extrusion, polycarbonet lens, and easy mounting hardware. (60 degree flood pattern) Engo LED work lights have a lifespan of over 3.5 years of continuous use with a 1-Year limited warranty. Wiring harness included.